Having great time management skills, awesome attention to detail and be able to connect with each individual client takes a lot of skills. Here are 10 habits of a successful wedding planner! Do you have what it takes to become a successful wedding planner? 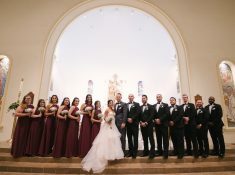 Here are things I have learned from other successful wedding planners like me and see how you can apply these tips to your already established wedding business. Do you have a wedding planning business? How successful are you? 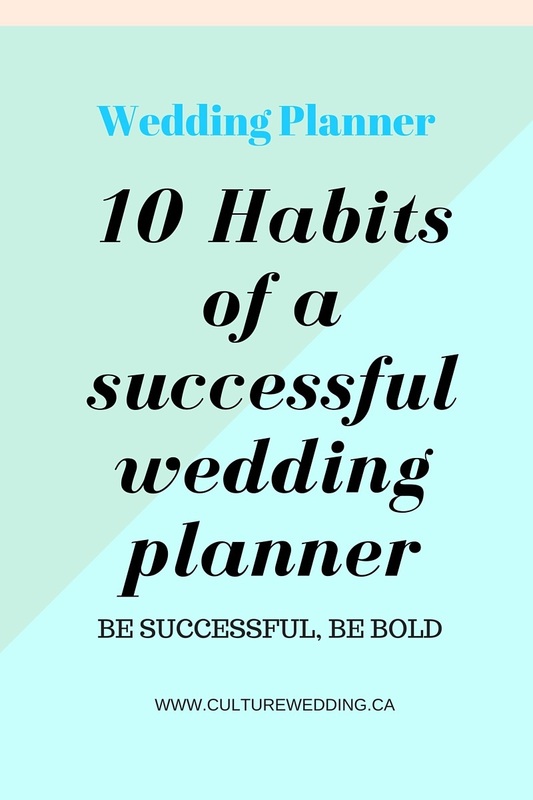 Here are the 10 traits and habits a successful wedding planner must have in order to rock that business. They are extremely passionate about the industry they are in. Every wedding planner I talk to tend to be really passionate about what they do. Believe it or not, without passion, no skills in the world will prepare you for what it takes to be a successful wedding planner! You need to love what you do otherwise you will get overwhelmed, stressed and will easily want to give up. But if you’re passionate about your career, it will make putting time and effort into it much more pleasurable, and not a chore. They understand the importance of investing in themselves. A successful wedding planner knows her values, she knows how important it is to invest in herself and allows for this in her budget. What are some of the things a wedding planner can invest in? Her education! You can not go wrong here! 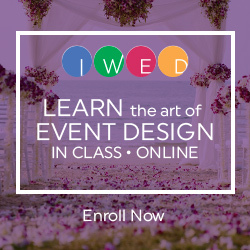 Our course “Wedding Biz Bootcamp for Wedding Pros” is great for those that want to take their wedding business from $0 to $50, 000 wedding business. 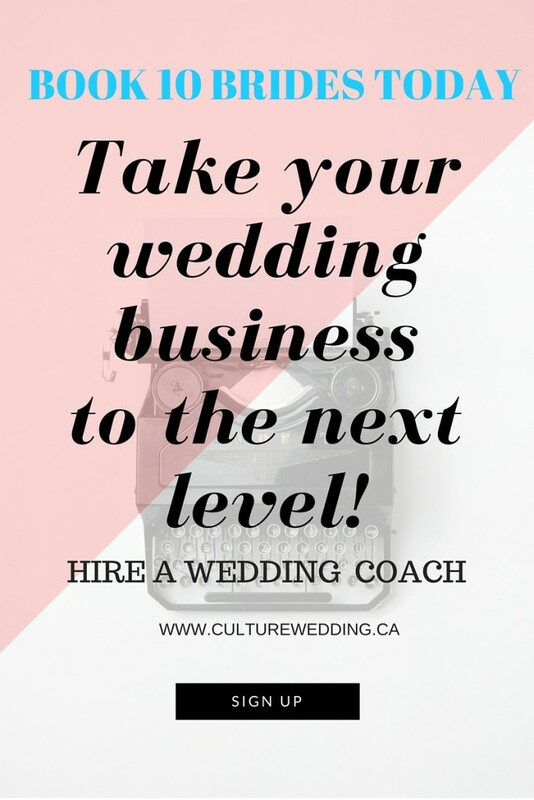 You should also invest in a wedding planner coach that will be able to show you the ropes in the industry! This will save you so much time and money in the long run! If you want a quick E-Book to really boost your wedding business today download this to get started! 3. They’re not afraid to take risks. The amazing wedding planners that we have come to know so well have all taken great risks in running a business. From financial investments to quitting a comfortable 9-5 job. A few planners have also lost loving relationships with their significant others due to putting their busy careers first above all! This demanding career requires the ability to manage work and home life. You will learn how to take calculated risks in the hopes that it will all work out! A wedding planner should be extremely organized! This is extremely important if you plan on being a successful wedding planner! If you are successful or plan on be successful you need to be able to juggle lots of weddings/clients all at once! You need to have a great system that works! 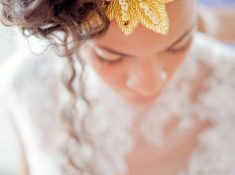 Every bride you get deserves to feel special and important and this is achieved by giving them the full attention they deserve! One thing we can not live without is our iPhone! The calendar is the way we keep organized! ← SERIOUSLY! As women, we tend to judge each other within 3o seconds of meeting. Brides do the same thing when they first meet a planner for the first time. With that being said, you need to be aware of how you present yourself at wedding consultations. 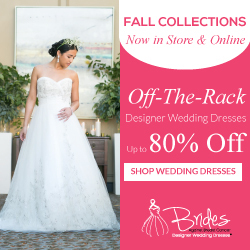 Yes, brides are judging you! They have this image of what a wedding planner should look like and you need to meet up to those expectations. Your overall image needs to be sharp and up-to-date- Looking for a place to get reasonable clothes? – Check Out- Just FAB! 6.They know that failure goes hand-in-hand with success. You lose some, you win some! A successful wedding planner knows that not everything will work out! You might not book that first client you met for at a wedding consultation a few days ago. You might have worked really hard on creating the perfect wedding proposal and the client just did not get back you! You need to know that you can’t excel all the time and that an inevitable part of taking leaps in your career might always be all good. But don’t let that stop you from taking more risks, marketing more, educating yourself more or investing more. It will all pay off at the end! Read our blog “How to launch a successful wedding planning business! 7. They take care of themselves physically. A successful wedding planner know taking care of themselves will only help them in the long run! This is one of the amazing habits of a successful wedding planner. If you are an event planner, you know how demanding the industry is. Taking time to exercise will keep your head clear and your physic in good shape! You are not honestly doing this to look good, but it helps relieve stress and exercise releases endorphin and increases energy! Dedicate at least 30 minutes to this daily or 3 times a day at most! Think about all the cake and food tastings you need to attend – mmmm yum! Read this blog for daily inspiration! 8. They know that their to-do lists will never be completed, and they do not stress about it. Every wedding planner I know has a to-do list! Yes we try to tackle as much as we can on a daily basis but sometimes it’s best to accept that you might not always get through it all. Try to priorities the important things first! This will ensure those pressing matters are taken care of first and you won’t feel so bad for not getting it all done! If you absolutely feel the need to get it all done, why not get an intern for a while to help you out in the very busy times. Learning to let go of certain goals, responsibilities and tasks can be difficult, but it will keep you sane! You can also hire a wedding VA to help out. 9. They make sure to schedule some “me” time. Are you a working mum, in a committed or serious relationship? Do you own a house? Most women tend to prioritize domestic responsibilities such as house work and kids over themselves! Learn to carve out some time for yourself! Remember that iCalendar ↑ that we love so much? Well schedule some YOU time! Go ahead and do it now! Do something for yourself, whether it’s 1 hour of reading a fun book, watching a fun TV show or just staying in bed for a little longer, do it for yourself! We have gone as far as hiring help to clean the house during summer, when we are the most busiest! Have you ever heard the phrase – “Fake it until you make it?” I don’t believe in that! I believe that if you can make it, you will make it! Believe that you are successful and you will start to feel and believe that you are successful! And the rest of the world including your clients will believe in you! Look yourself in the mirror and believe! We hope these tips will help you be as successful as we are! 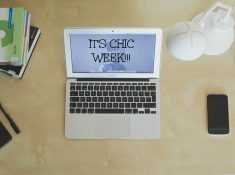 You might also like: 7 Books every event planner should own and read! Use Pinterest to attract your ideal bride here! Give your business a quick boost and book up to 10 brides with our E-Book! I feel tired just thinking about organizing a wedding. Pass the aspirin or pass the Christie.